Most of the accused don’t have a criminal record. Four of them are school dropouts in the age group of 18 to 22 years. Police arrested seven suspected members of terrorist organisation Babbar Khalsa International (BKI) late Friday evening and claimed to have recovered three pistols and 33 bullets from their possession. The arrested include a minor. 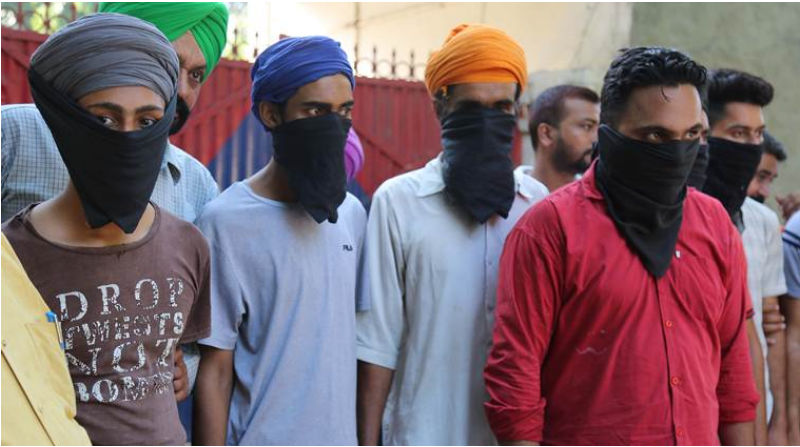 The police said the accused were conspiring to kill people who write against Sikhism and Khalistan on the social media. The police also suspect their involvement in the killing of Hindu leaders, including Rashtriya Swayamsevak Sangh (RSS) leader Jagdish Gagneja, Sri Hindu Takht leader Amit Sharma, Shiv Sena Punjab leader Durga Prasad Gupta and pastor Sultan Masih. Police said BKI commander Surinder Singh Babbar, who has allegedly been hiding in the United Kingdom, is funding and recruiting youths to carry out operations in Punjab. They, along with the minor, were produced before a local court on Saturday, which sent them to seven-day police custody. The minor has been sent to a rehabilitation centre on judicial remand. Police commissioner RN Dhoke said the seven were arrested following intelligence inputs. A case was registered under the Unlawful Activities (Prevention) Act and the Arms Act. “The accused have no criminal record. However, their involvement in the killings of Hindu leaders cannot be ruled out,” Dhoke said. The police suspect their involvement in five killings where the method to execute the crime was similar. “Amanpreet Singh is a granthi at a gurdwara and has been radicalising people. Kuldeep Singh is a transporter and Jasvir Singh is his driver. Onkar Singh, Jugraj Singh and Amritpal are school dropouts. Besides the minor, all others are between 18 and 22 years,” Dhoke said. During interrogation, the police said, the accused admitted to meeting to create disturbance in the state. They allegedly held three meetings in Ludhiana to recruit people. They were in touch with Babbar on social media.